Hesse is a federal state located in the southwest of the republic which has Wiesbaden as its state capital. Excellent roads and motorways encourage you to explore the cultural and scenic sights of Hesse with a rental car. The federal state of Hesse is known for its multi-faceted landscape, in which wide plains alternate with hilly landscapes and low mountain ranges. Throughout the country, historical castles and romantic palaces can be discovered by rental car. 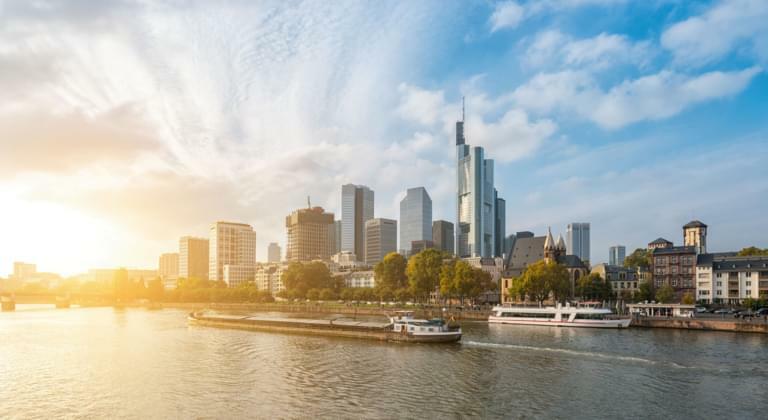 If you rent a cheap car via driveboo and receive it in Wiesbaden or at Frankfurt Airport, you can comfortably explore the fascinating highlights of the country. In the southern part of Hesse the Frankenstein Castle or the Auerbach Castle are waiting for your visit, both destinations can be reached quickly and comfortably by rental car. In the north-west of the state capital, Schloss Braunsfeld, located in the Dill district, is ideal for an excursion by rental car. Where can I book a rental car in Hesse? Beyond the world of castles in Hesse, the numerous amusement parks in the state of Hesse also inspire you to rent a car. Variety and excitement are offered to the whole family, for example in the Taunus Wunderland, which you can quickly reach by rental car from Frankfurt or Wiesbaden. You drive with the rented car over the wooded Taunus heights and prepare especially your children unforgettable experiences. Rent a suitable car and take your children to the adventure park Steinau an der Straße. Even the drive with the rental car on the A66 is a lot of fun due to the attractive landscape, the park itself with its varied offers for an eventful day.